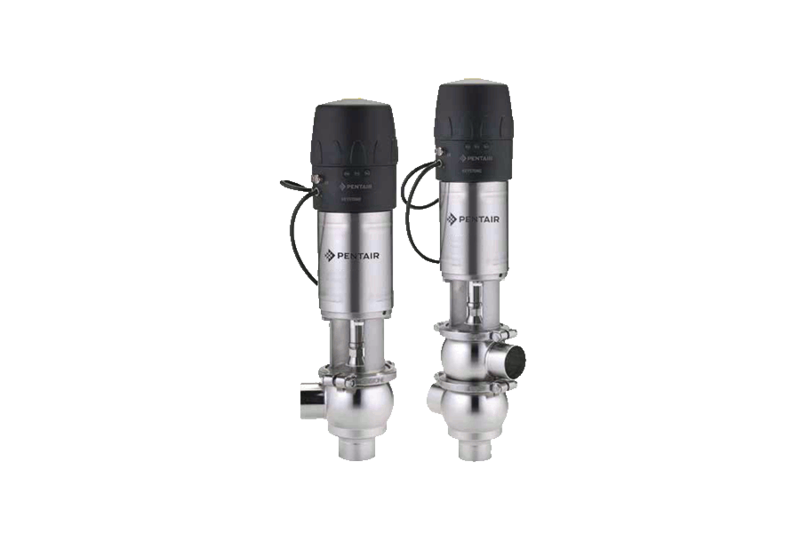 Pentair Balanced Double Seal Valves F269B+ (formerly sold under the brand Keystone) are used for mixproof product isolation when safe separation of process and CIP fluids is required. Free draining design, eliminates product puddling and air pockets. 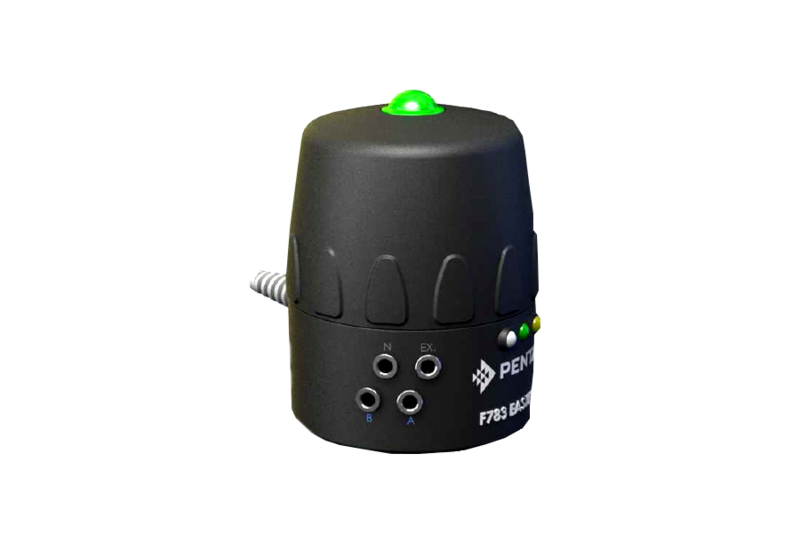 Smooth ball shaped bodies, reduces turbulence and improves flow. Smooth internal surfaces for ease of cleaning. Lower balancer for increased product security and reduced water hammer effect. Product contact parts manufactured from high quality 316L or 304L S/S bar. Heavy duty cast body clamps (bolted type). Metal plug stop, protects seat seals from wear or damage. Resilient seated for positive isolation. 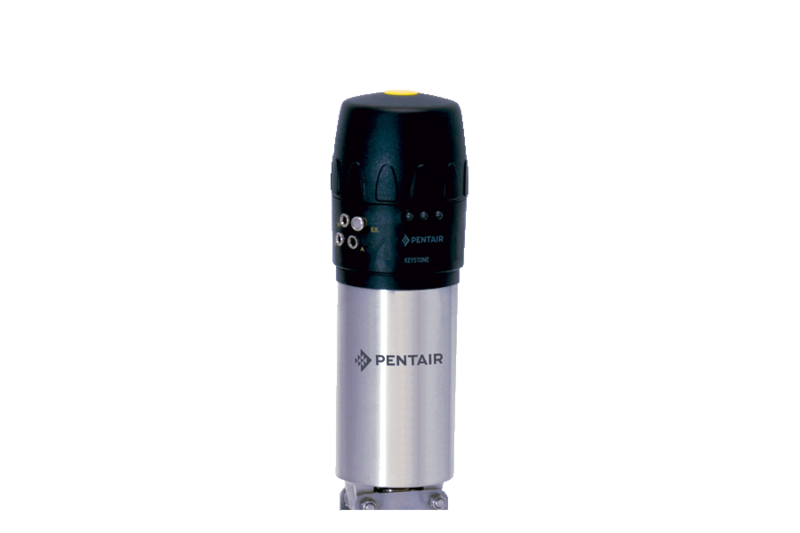 Pentair Balanced Double Seal Valve is driven by an all stainless steel spring return linear actuator and is configured as standard Spring-To-Close although it can easily be switched to Spring-To-Open if required. The double seal mix-proof valve is designed with a robust one piece fully machined stainless steel body (larger sizes can be fabricated on special request). Along with heavy duty cast body clamps, the valve is capable of withstanding pressure spikes well beyond the recommended maximum 10 bar pressure rating - conventional unbalanced double seal valves are vulnerable to uncontrollable pressure spikes within the process. When air pressure is applied to the cylinder, two small pneumatic normally open (NO) poppet valves (a leak detecting and a CIP valve) instantly close and the main valve plug moves through its entire stroke changing the valve from the closed to open position. When the air is removed or vented from the cylinders the main valve closes, causing the two smaller valves to open, thereby venting and draining the leakage chamber to atmosphere. With the main valve in the closed position the leakage chamber can be flushed with water or CIP to clean away product residues. While the balanced double seal valve is in the closed position, one side of the valve can be CIP cleaned while product remains on the other side fully protected from possible contamination by the double seals and leakage chamber. Pentair Balanced Double Seal Valves are used to control mix-proof process or CIP fluids in the food processing, canneries, wineries, dairy, brewing, pharmaceutical, beverage and chemical industries. The double seal valves can be easily automated with the Pentair Easymind Electronic Control Top. Pentair (previously Keystone) Double Seal Valves are ideal for product isolation, where safe mixproof separation of process and CIP fluids is required. 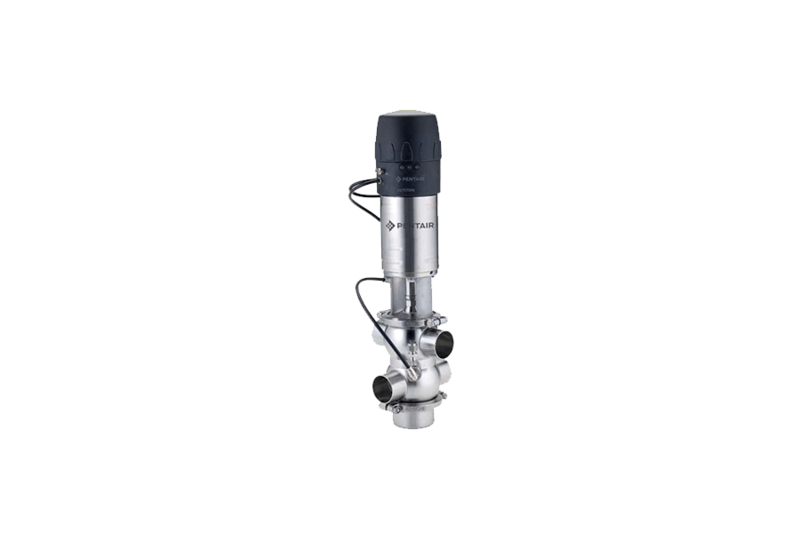 Pentair (previously Keystone) Hygienic Single Seat Valves with compact and lightweight design are ideal for controlling process or CIP fluids. 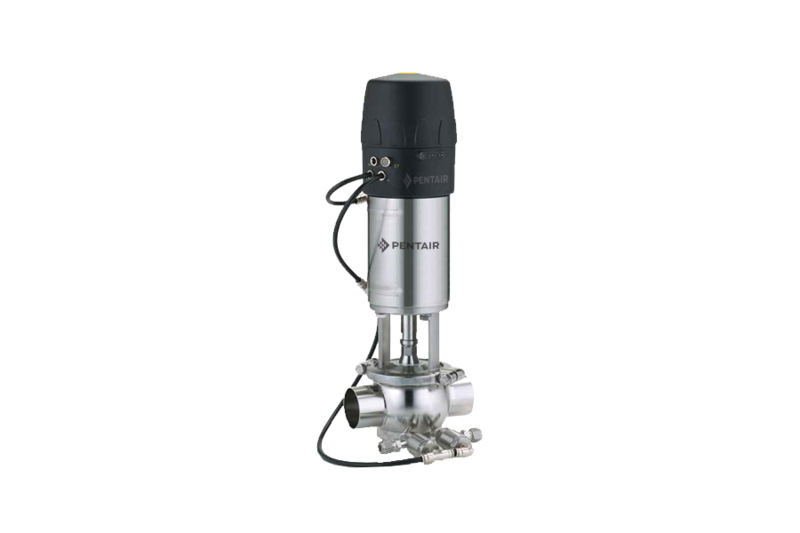 Pentair (previously Keystone) Vertical quarter turn Pneumatic Actuators for butterfly, ball and shutter type valves are ideal for all segments of hygienic applications. Pentair (previously Keystone) Valve Control Tops for automated and fully controlled operation of various kinds of hygienic valves. Looking for products or solutions?